I've tried various variations of this with -n 3 etc..., nothing works. And the strange part: it always shows the full log (13 lines), instead of 10 lines which should be the default according to the documentation for systemctl. Trying systemctl status confirms this: it just outputs all 45 lines to the terminal, when it actually should be 10. Am I missing something here? As far as I know I didn't change anything. 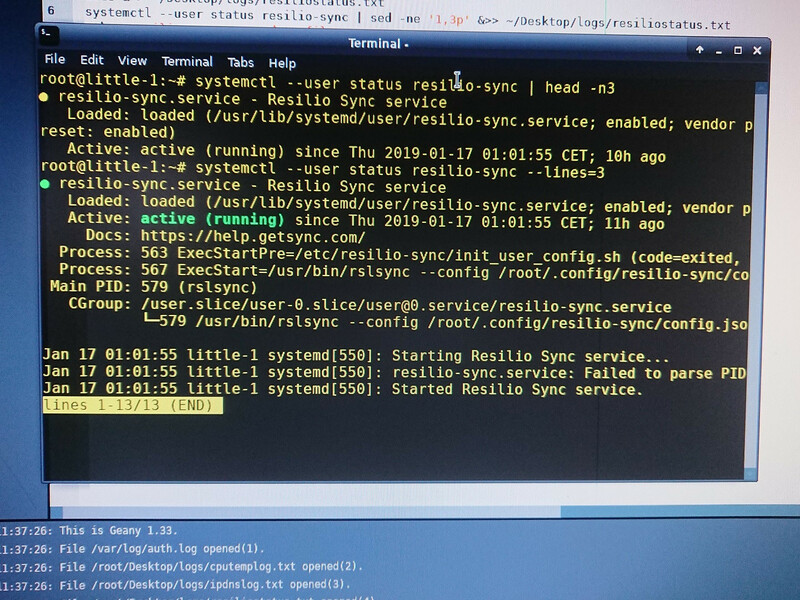 will display only the status of esilio-sync service without the journalctl log. This is what the head command was designed for. Not the answer you're looking for? Browse other questions tagged debian kali-linux raspberry-pi systemctl or ask your own question.